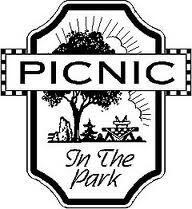 Make your plans now to join the Harvard Club of Cincinnati for our annual summer picnic on Sunday August 16! The event is casual and open to all Harvard University graduates, affiliates and students along with your families and SOs. There will be grilling, games and socializing for everyone. This year we are meeting in the charming Village of Mariemont just 15 minutes from Downtown. Designated a National Historic Landmark community, its tree-lined streets and Tudor-style buildings will remind you of quaint English garden neighborhoods. Look for us in the shelter under the Bell Tower after you turn onto Pleasant Street. Parking is available at the park, at the softball field, on the left side of Pleasant across from the park and on Field House Way. Cost for adults and teens is $5/person payable "at the door". Children and Harvard students are free. Please RSVP by August 14 to marcytaylor@post.harvard.edu. If you would like to help with set-up, grilling, teardown or games, please drop a note to Marcy, marcytaylor@post.harvard.edu or 513-271-8060.